At Elevation Church, in Charlotte, N.C. they have their brand marketing down pat. They have figured out what their Big Hairy Audacious Goal is, which is to baptize as many people as they can. They can tell you exactly how many people they dunked each year- and they number in the thousands. But not only do the in-service baptisms take planning, they take a lot of crowd manipulation. 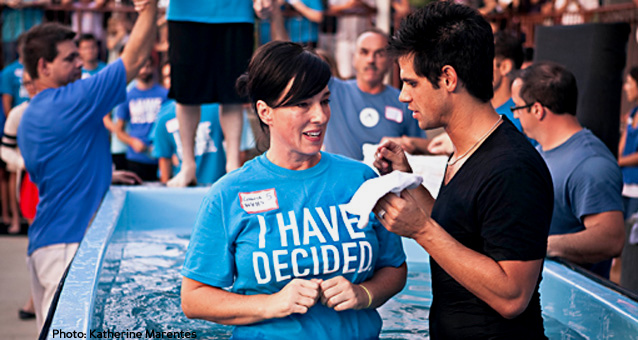 What has been discovered by a local TV station is that Pastor Steven Furtick plants volunteers in the various locations in the crowd to get the momentum going when he calls for 'spontaneous' baptisms. While most churches have a stage, what many members don't realize is that some things that their church leaders attribute to the 'moving of the Spirit' has actually been staged. And Elevation produced a document to show other churches how they could do likewise. It’s titled “Spontaneous Baptisms – A How-To Guide” and the church shared it freely on the Sun Stand Still website. The spontaneous baptism how-to guide describes its purpose as to “pull off our part in God’s miracle.” Church leaders have repeatedly referred to the mass response as a “miracle.” But the guide reveals plenty of human staging. “Most people would not want to be seen as manipulating a group because then you would have questions of authenticity,” said Rev. David Key, who teaches Baptist studies at Emory University’s Candler School of Theology. It takes “30 to 45 seconds” to baptize each person as church photographers snap photos. 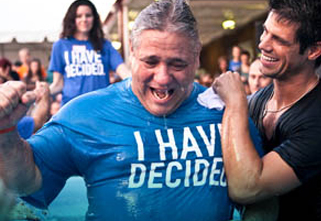 The baptisms, the photos, the video marketing all serve to build brand loyalty to Elevation. 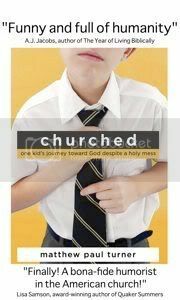 “Look at how much branding these churches do - the bumper stickers, the T-shirts, the hats, the bracelets – everything,” Duncan said. But parts of the mass baptism guide have drawn sharp criticism – from other Christians. Page one shows that the first people instructed to respond to Pastor Steven’s call to baptism were not converts suddenly inspired but Elevation volunteers carefully planted in the crowd. Hype... It isn't the same thing as the Holy Spirit. Learn to tell the difference.